They call it "the Brewmaster's Widow"; the abandoned brewery where Death Bogart's brother died in an arson fire. 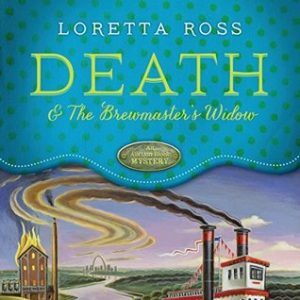 DEATH & THE BREWMASTER’S WIDOW by Loretta Ross is the second novel in the Auction Block Mystery series. Once again I chose to listen to the narrations of Amanda Ronconi. Suspenseful with action, danger, and the unthinkable “whodunit.” Ross delivered and I cannot wait for the next book in the series. Death (pronounced Deeth) heads home to St. Louis to settle his brother’s estate. He is also looking for answers as to what happened at the Einstadt Brewery where firefighter Randy Bogart lost his life. Wren Morgan Death’s girlfriend decides to travel to St. Louis to help Death deal with everything. The two soon find themselves investigating when questions about Randy’s badge emerge. In the first novel Death really showed off his investigative skills, but in book two, Wren really gets to shine. I enjoyed gathering clues and explore the Cherokee Caves. Ross made the listener privy to things the characters themselves did not know and it added excitement. 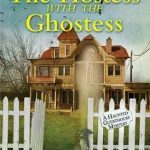 It was a clever whodunit that pushed the borders of reality while still feeling believable. What I really love about this series is that it offers more than your typical cozy. The characters are complex and even the secondary characters hold their own. Death is fascinating. He is new to the PI business after his career as a Marine ended when he was injured in Afganistan. He has lung issues and suffers from PTSD. Both are hard for Death to handle. Ross does a wonderful job of sharing his fears and the reality of living with them. I adore Wren our auctioneer. She is smart, funny and good for Death. She makes me smile and at times had me laughing out loud. We get to meet Death’s ex and you will love to hate her. New characters are introduced and we learn more about Wren’s family. Amanda Ronconi continues to narrate the series and does a fantastic job portraying the characters and capturing the tone of the story. Characters are easily recognizable and sound genuine. 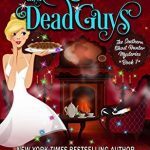 DEATH & THE BREWMASTER’S WIDOW was a delightful whodunit! While each of the books share a single case, I recommend listening to them in order. I myself cannot wait for the next audio! I love cozies, and this series is new to me. I’ll have to add it to my Wishlist! Death sounds like a great character. It is a fun series, Darlene. It’s good that this book expanded on character growth, and you were able to see more of Wren. Great review Kimberly! I enjoyed this one too, and the next one as well, though I’m not sure it holds up *quite* as well as the first two. I’m glad you’ve discovered the series and look forward to your next review! I am patiently waiting for the audio release. Ok unthinkable whodonit and St. Louis (my hometown) and the fact that you loved it Kim. I’m in! 🙂 And its only book two yay me. Kim does the first one take place in St. Louis too? This is a fun series. It doesn’t but this book is set there. I”m so glad you’re still enjoying the series. I thought this one was a little weaker but I loved getting to know more about Randy so I didn’t mind. 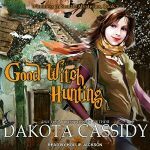 I really enjoyed book #3 and hope you do too! Someone just told me that book three didn’t hold up to the first two. So funny how we all feel differently, I am waiting for the audio of book three and hope I enjoy it! You and Angie have me eager to get a shot at this series. I love that the characters are well developed along with the mystery plot and that his PTSD and health issues are handled well. The cave exploration sounds fun. Oh yes you totally should read or listen to these! “Death” does sound like an intriguing and interesting character. Thanks for the post. He really is. Thanks, Angela. It’s nice that this series is so much more than your average cozy. It sounds wonderful. I agree I think that is one of the things that appealed to me most when I started the series. it is great that it continues to be good like that! Right. I look forward to the next book. While it’s not my type of book I’m glad to see you liked it. Thanks for the great review. This cozy seems to have more depth than many in the genre. Thanks for sharing. I think so too, Laurel. It was refreshing. Where did I just see this review? Maybe on Ali’s blog? Either way, this has been a fun series to follow. Enjoy! This series has been fun with great mysteries. i cannot help it, Death vs Deeth… i still call him death unwittingly. Thanks, Cindy, I hope you enjoy them! Sounds like fun, Kim. I love it when book 2 is just as good as the first. I’m annoyed by the name of the MC though lol. Glad you enjoyed this one just as much as you did book one. Great review. I really did and look forward to the next. Yes, and I’ve been in the mood for it lately. 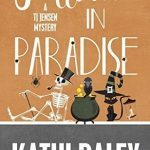 This sounds like a great cozy mystery. Glad that you enjoyed and loved this book, Kim. Awesome review, as always. Have a great day.